whatsup! You bought those ebony plastics off of me a few weeks ago. my street is burnout friendly btw next time you leave..
break in?????? Beat on it!!!!!!! Seat Those Rings!!!!! What else do you need? I still have some stuff.. I think I'm backing out of my swap..
Yeah I don't have any of that. Good luck tho. What are you going to do for seats? funny you should ask...i actually got my new seat in last night! 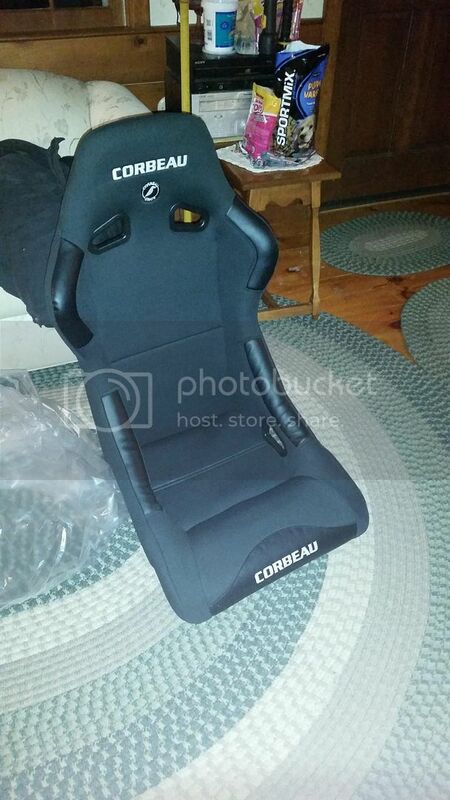 i ended up going with the corbeau forza seat with the 4th gen bracket and dual locking slider. only went with the drivers side for now since i cant decide if i want to delete the back seats or not and will want the pass seat to fold forward. just get rid of the rear seats.